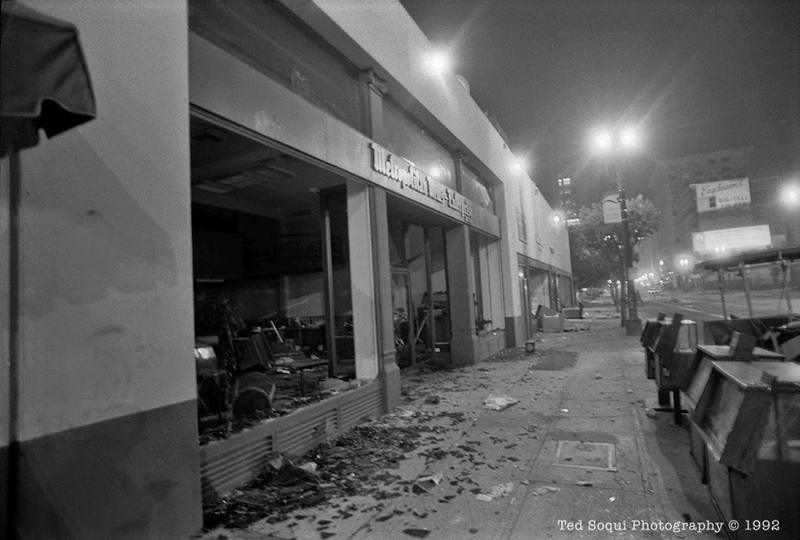 Downtown Los Angeles 23 years ago today. 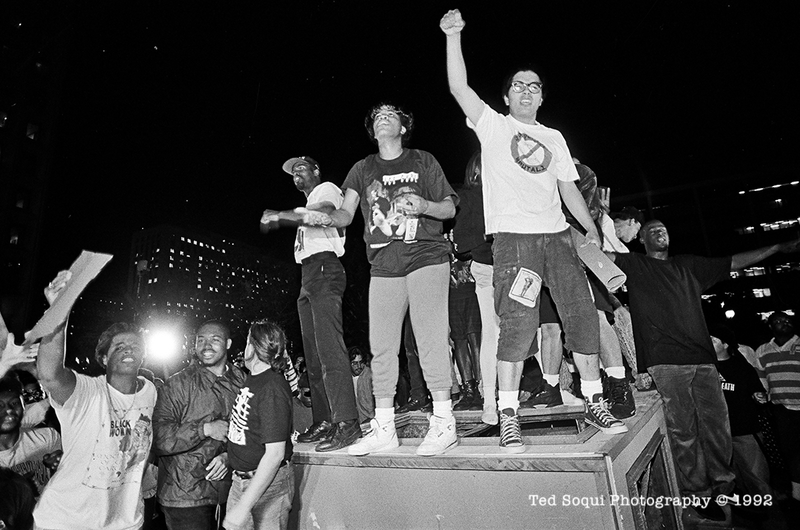 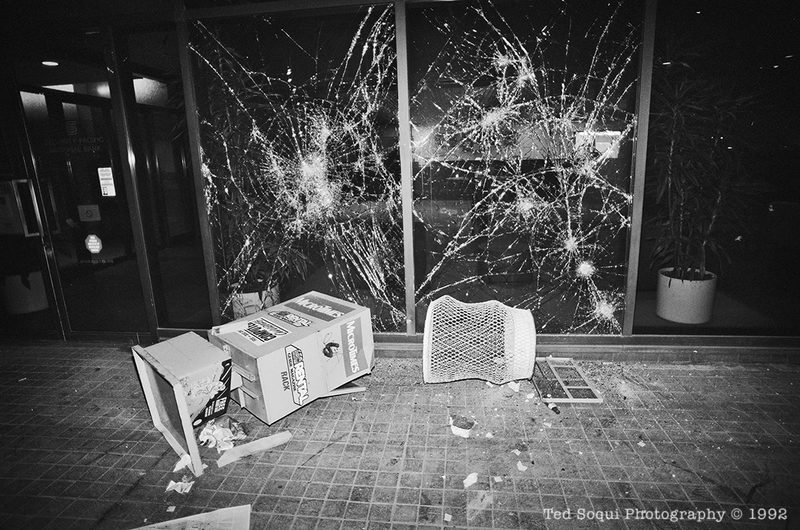 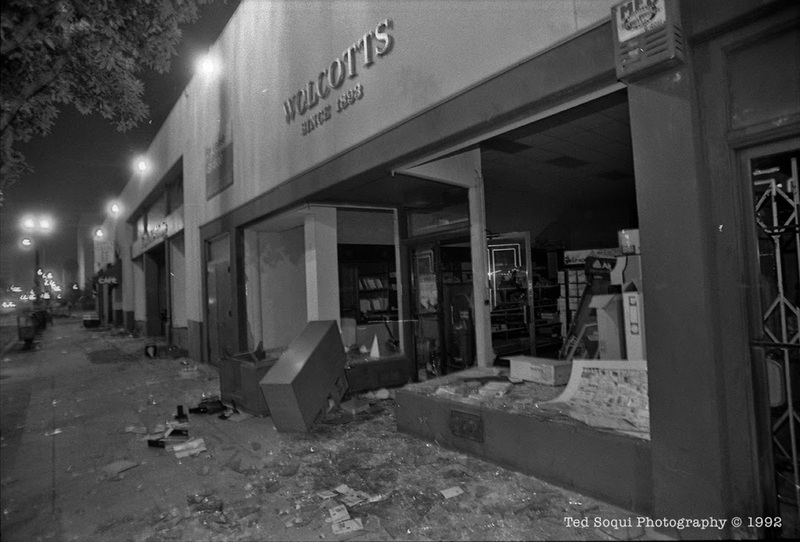 First night of the Los Angeles riots of 1992. 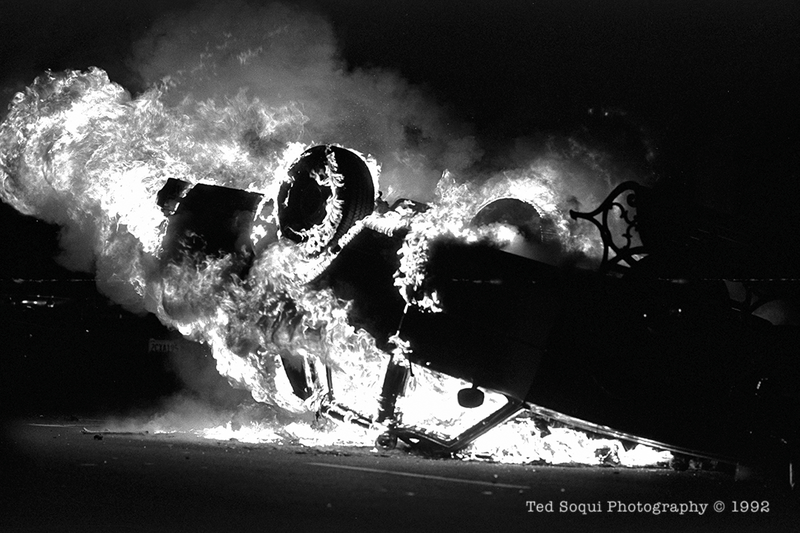 LAPD cruiser on fire on Main Street. 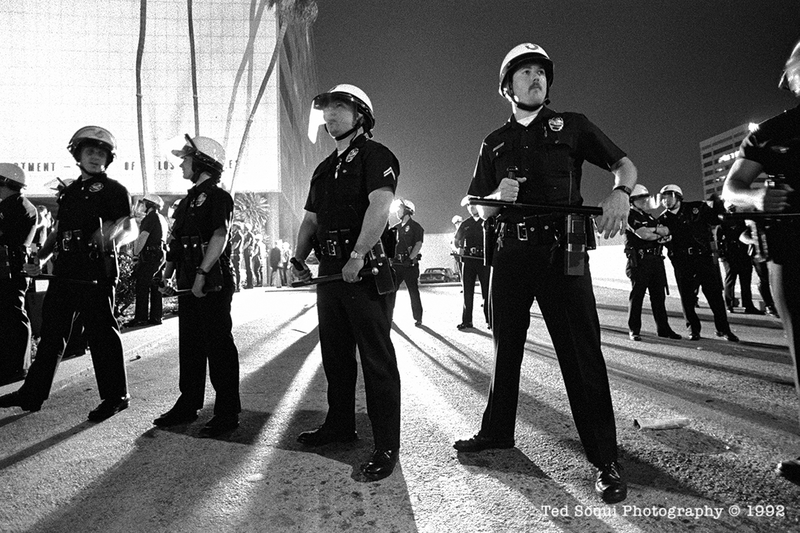 A thin blue line at Parker Center.